April the 5th has come and gone and we are now into the new UK tax year. The dust has settled after the rush for expatriates to either commence benefits for UK pensions or transfer to a Qualifying Recognized Overseas Pension Scheme or QROPS arrangement. The reason for the latest ‘silly season’ is the further reduction in the Lifetime Allowance (LTA) from £1.25m to £1m. It doesn’t seem that long since 2012 when the LTA was set at £1.8m. At that level few people were caught by LTA taxation, which was applied to anyone with total pension funds in excess of this amount. Although £1m is still a substantial pension fund, the new LTA limit has ‘real teeth’ and will catch a lot more pensioners now and into the future. Tax will be payable at 25% of the excess in the case of benefits drawn as a taxable income stream, or 55% for lump sum benefits. However, there are ways to either reduce or avoid this tax for anyone with a potential liability. Lifetime Allowance Protection is an option. Provided no further contributions are made to Defined Contribution (DC) pension schemes, those with total pensions of more than £1m can apply for FP2016. In so doing their assets will be protected at the £1.25m limit. The same applies for those with Defined Benefit (DB) plans, although future inflation increases will be disregarded. DB benefits are generally calculated at 20 times the annual pension entitlement as at 6th April 2016. This must be based on the full pension before any reduction for lump sum benefits is calculated. IP2016 is available to anyone whose total DC pension entitlement as of 6th April 2016 is in excess of £1m and is capped at £1.25m. The difference between IP2016 and FP2016 is that it is still possible to contribute to pensions after protection has been claimed, although those considering this type of protection have to be aware that any accrual in excess of £1.25m will be taxed as above. Similar rules apply for DB pensions. 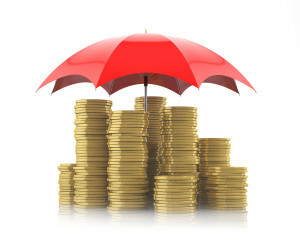 Individuals with full pension benefits of over £1m can file for protection. Members can continue contributing to their fund, however total pension values are capped at £1.25m. Assuming protection has been applied for and your pension entitlement is still greater than £1.25m, a transfer to a Recognised Overseas Pension Scheme (ROPS) will always be taxed at 25% of any excess. In many cases, tax on lump sums in your chosen country of retirement may be considerably less (or even zero in some cases) than the punitive 55% applied to UK pensions. As such, whether you have to pay tax or not, it is best to commute the whole pot as a drawdown income stream, pay the 25% on the excess, then withdraw the Pension Commencement Lump Sum (PCLS) when in situ. In other cases where the total protected pension pot is within the £1.25m limit it would usually be better to take the lump sum whilst still UK tax resident, then draw down the income stream after transfer to a QROPS / ROPS. The various QROPS / ROPS jurisdictions have different rules for draw down; it is therefore important to choose the right one for your needs. Malta is currently the preferred choice within the EU, as it offers pension freedoms similar to those available in the UK. UK rules regarding DB schemes are a little out of date in terms of the 20 times multiplier. Most DB schemes’ Cash Equivalent Transfer Values (CETV) are calculated at 30 times or more. This means that the actual CETV applied at retirement or transfer may be considerably more than expected. If an individual is still a long way from retirement, he/she should take this into account. There is a need to be careful when comparing benefits from DB schemes with ROPS or DC transfers. Official Critical Yield (CY) calculations need to be updated following the pension freedoms legislation of 2015. The old rules still assume that an annuity is the only DC option; this has made CY assumptions almost irrelevant. In short, a CY rate is the investment yield required to equal any DB pension income prediction. As such, the analysis may suggest you need to achieve a 6% rate of investment return in order to equal your DB pension. The problem with such a calculation is that there is an assumption that individuals will withdraw a low rate annuity (of perhaps around 4% p.a.). In practice however, and as a result of new UK pension freedoms, a lot of retirees would seek to draw down more than an annuity would permit, thus invalidating any CY calculation. Moreover, as there is now no requirement to take an annuity, DC schemes have become more attractive in terms of passing wealth down through generations. Previously, a pension of 50% would be paid to a surviving spouse; thereafter the remainder would be lost. In the new era, this is no longer the case; pensions can now be treated as a valuable method of ‘giving a helping-hand’ to future generations. Lifetime Allowance Protection is a relatively complex area of financial planning that requires close scrutiny. If unsure about limits and how best to approach this issue, it is recommended that professional advice be taken.